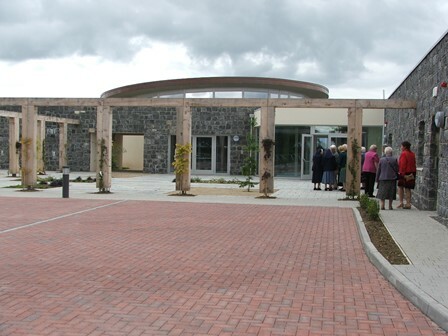 Explore the legacy and heritage of St.Brigid of Kildare by visiting the New Solas Bhride Centre & Hermitages, Tully Road, Kildare Town. People of all faiths and no faith are welcome. Opening Hours: Monday – Friday: 10am. – 5pm. Centre open to pilgrims / visitors on Saturday and Sunday by appointment. Telephone: 045 522890 / 086 3410082. Location: Tully Road, Kildare Town. (adjacent to Irish National Stud). Coach and car parking space available. Solas Bhride Centre has 3 self-contained Hermitages which are available for short term stay for those who wish to have time out for quiet reflection. Solas Bhride is a Christian Centre for Celtic Spirituality in the spirit of Brigid of Kildare. Prayer and the fostering of a contemplative spirit are central to the life of the community. It is what gives energy and enthusiasm for mission. We seek to ritualise day to day happenings; it enriches our lives and the lives of those who come to our Centre. We celebrate the liturgical seasons of Advent, Christmas, Lent, Easter..
We have Meditation on Monday nights. This is open to all. An annual week-long festival precedes Brigid’s feastday on February 1st each year. It is organised by the Brigidine Sisters, Cairde Bhride and Afri. The Celtic feasts of Samhain (Nov.,) Bealtaine, (May) and Lunasa (August) are also marked. Cairde Bhride is a group of women and men who work in association with the Brigidine Sisters since 1993. They are inspired by the ideals and qualities of Brigid and aspire to share these ideals in an inclusive, creative and nurturing way. Cairde Bhride meet once monthly for reflection, visioning and planning. They work with the Brigidine Sisters and Afri in preparation for the annual Feile Bride. Cairde Bhride work with the Solas Bhride Community in facilitating workshops, pilgrim groups and in the celebration of the Celtic feasts. The Centre has m any requests for information on Brigid from students at all levels. We published a book, “Rekindling the Flame – a pilgrimage in the footsteps of Brigid” by Rita Minehan CSB. We organise workshops on relevant topics.